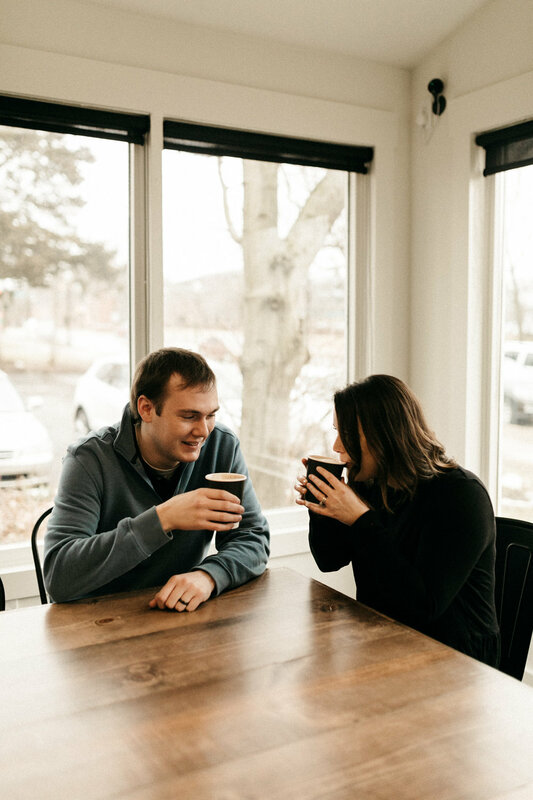 crystal + ian at indie coffee roasters // carmel lifestyle photographer — likemorningsun photography // wedding & portrait photography for adventurous souls. I shot Crystal & Ian's wedding last year in Crawfordsville, Indiana at Hidden Hollow Farm. 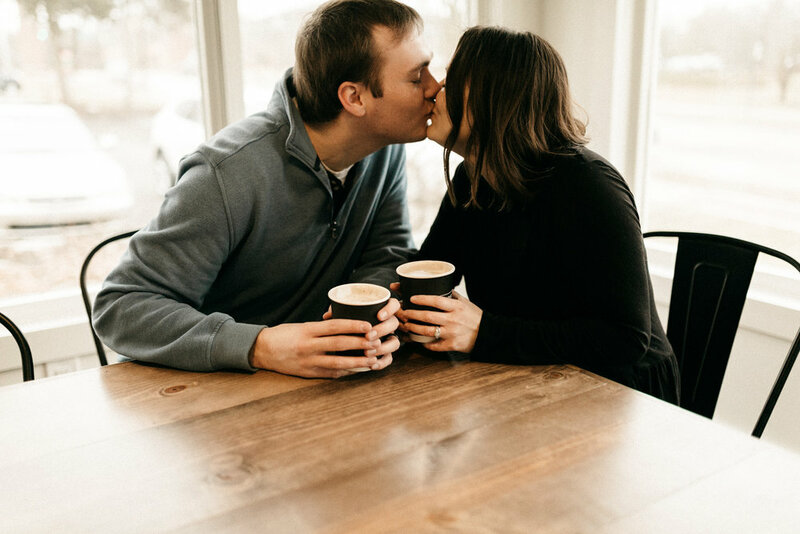 They wanted a little family photo update while I was in town this weekend, so we headed over to Indie Coffee Roasters in the Carmel Arts District in Indiana for a little lifestyle session. Indie just opened a few weeks ago and is such a cute little coffee house with lots of big tables + pretty window light. Their logo is a dachshund, which is perfect, since Crystal + Ian have two, and always bring their dogs along to their sessions for a few photos. 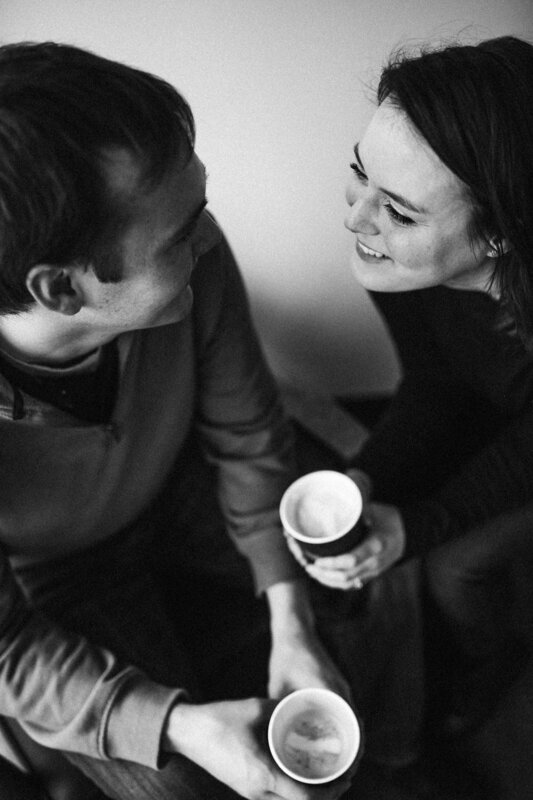 We loved Indie's perfect photoshoot location for a cold winter day & their yummy drinks.